Various report types described and basic concepts in report creation explained. Extract existing block attribute information in this drawing and create a spreadsheet report. 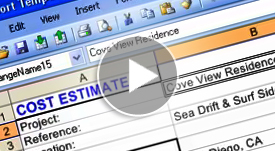 In this demonstration, a construction estimate report will be created. In this demonstration, a parcel description report will be generated. Create a query report from block attribute properties. Define an entity relationship between a block inserted inside a closed polyline. In this exercise, house blocks will be grouped by their corresponding parcel numbers. Report generated with screenshots from an AutoCAD drawing. The report generated from an AutoCAD drawing can be inspected before printing, saving or exporting.